It is the colour of the sun, of wellbeing and of joy. It is a symbol of light and energy and is also the colour of lemons growing in lands that are drenched in a warm and bright sunlight which nurtures them from bloom to harvest. 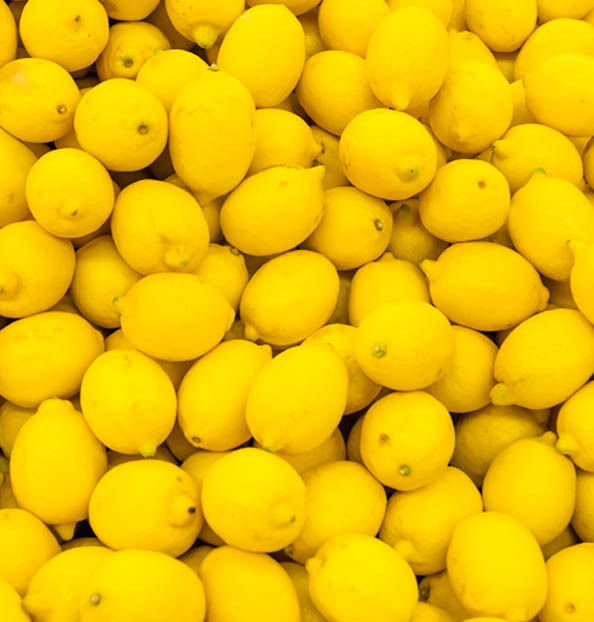 Many citrus fruits are yellow but the lemon is without a doubt the yellowest of them all: why? The yellow colour of citrus fruits depends on bioflavonoids (flavonoids) present in the peel. The colour intensity is due to anthocyanin, a pigment which varies according to the level of acidity of the fruit that contains them.